Do you feel that marketing a small Pilates studio is an uphill battle? Are you staying up at night because a mega studio is opening next door? Are you thinking about dropping your prices only so that you can compete with the other offerings in your area? As a website developer for Pilates studios I know the struggles that most studios and Pilates teachers are going through. In fact, we have a mega studio opening in our town just any day now (I am sure you can guess which one it is) and at first I had a knot in my stomach about it. But then I went out on a date with my husband. 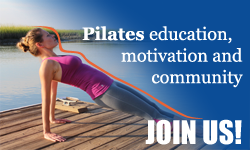 What does it have to do with marketing and Pilates studios? Listen to the talk that I recorded for you and you will find out. Here is my one piece of advice that I have for any boutique studio owner. Honestly, as business owners we get so caught on price objections and sales that we forget the main difference that personalized Pilates has to offer. We are not selling exercise or fitness, we are helping people lead better lives. As Pilates teachers we know all the benefits of Pilates and know the huge changes that it produces in the body (and beyond.) But we assume that our potential clients know the same thing. To tell you the truth, most of them don’t. If you don’t explain how taking Pilates at your studio is DIFFERENT and how you can help your clients get the RESULTS that they are after then they will be lost. Communicating the value and the experience that boutique fitness provides is the most important aspect of your marketing. If you are able to differentiate your offerings and speak the language of your ideal clients then your schedule will stay full and your clients will be happy. Provide the EXPERIENCE that your ideal clients are looking for. Starting with your website (because a lot of times this is the first introduction that your clients will get to your business) and all the way to your studio bathroom, make sure that you are providing a high-end luxury experience. Make sure that your studio appears organized (starting with the booking process) and clutter-free. Speak their language. Stop speaking “Pilates-nerd” or “anatomy-geek” (two languages that are very common among Pilates teachers) and start talking about the problems that your ideal clients are facing and how taking Pilates at you studio will solve these problems. Line up your image with your offer. What you offer (the experience, the results) have to line up with the image that your brand is creating. If you are trying to be the “walmart” of Pilates then you have to price yourself accordingly. However, I know that the services that you offer are on a different level and that the value that clients will get from working with you is tremendous. Your offers and pricing should represent the high value that you are providing to your clients. Read the book Building a Story Brand by Donald Miller. This book will help you understand how to speak to your ideal clients so that they will listen and actually respond to your offer. Make sure that you follow through on the action steps in the book. Win a free copy of Building a Story Brand. Comment on this post sharing your thoughts about the video above or why you think you struggle connecting with your ideal clients. Contact me if you need help clarifying your message or aligning your message with your web presence. I will just say that working with Anastasiya has hands down been the best thing EVER for my business, she makes it easy for non-techy, non-business-head me, and she remains my friend after the headaches I know I must cause her. She never lets on, but I think I should send her a case of her favorite wine as a thank you. Sunni, I will take you up on wine one day 🙂 I support your mission and passion 100% that is why I am always willing and eager to help. And I absolutely love my new GMJ shirt – I will make a video wearing it soon!